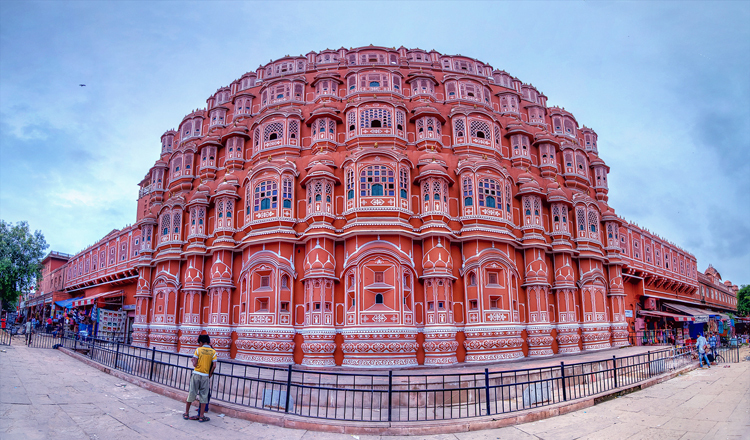 Jaipur, the capital of Rajasthan, surrounded by walls that bear the marks of battles, and rugged hills adorned by castles, is situated at a distance of 265 km from Delhi. 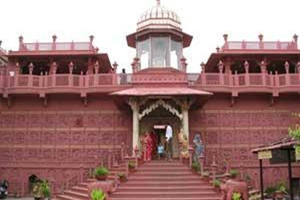 The city is linked with the capital of India by air, conveniently timed trains, and well-maintained metalled road. 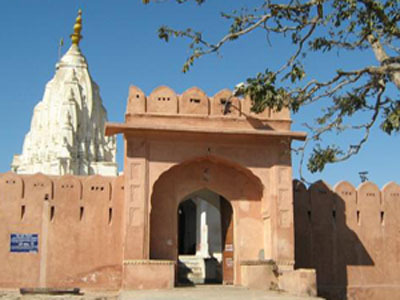 The city was founded by Maharaja Sawai Jai Singh (1699 AD – 1743 AD). 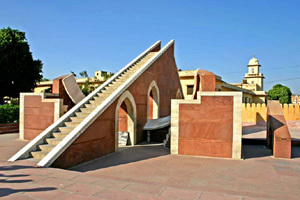 He was the first Indian ruler to study the layout plans of some of the major European cities and then import those which would be in harmony with the principles laid down by the ancient Indian book on architecture, the Shilpa Shastra. 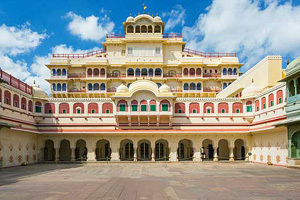 The city is remarkable for its well-planned broad roads and symmetry in buildings. 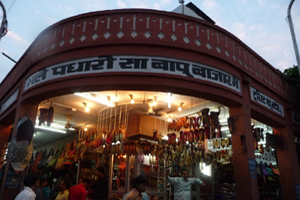 On the eve of Prince Albert's (son of Queen Victoria) visit in 1875, the then Maharaja of Jaipur, Sawai Ram Singh, had the main bazaar of the city mantled pink. 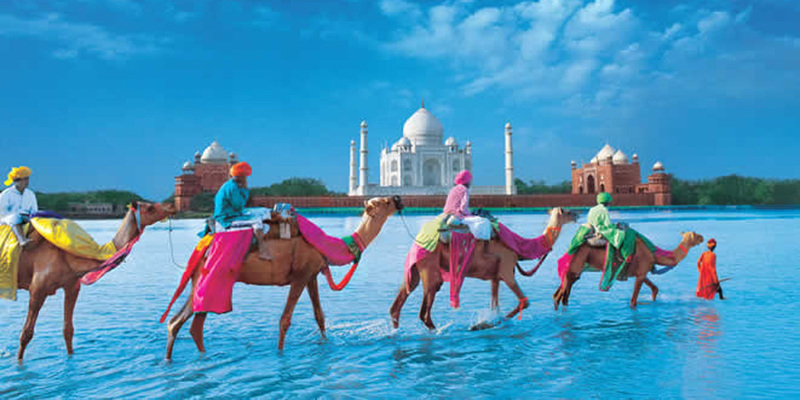 Since then pink has become the characteristic colour of the city buildings and the city is popularly known as the Pink City. 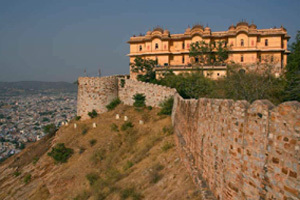 Jaipur has a population of over two million. 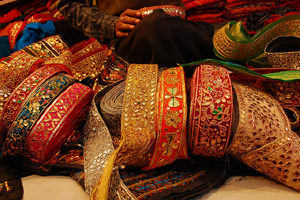 The bazaars of Jaipur are arrayed with the famous handicrafts like Sanganeri prints, enamelled brass work, marble statues, precious jewellery, pottery, ivory work, sandalwood work, and embroidered footwear. 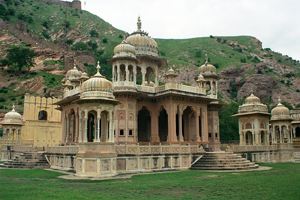 Jaipur has retained its unique flavor and old world charm. 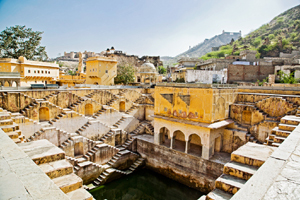 The markets of Jaipur are popular all over the world for their traditional artefacts, fabrics, carpets and most importantly gemstones and jewelry. 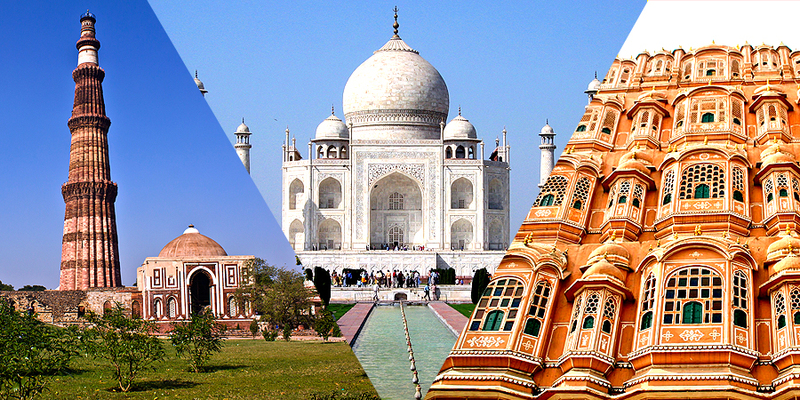 Exploring this land of Kings is a unique experience for every traveler. 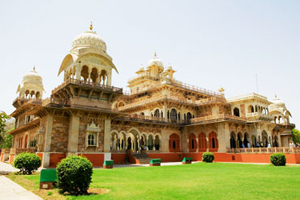 Jaipur houses some of the best architectures like Albert Hall, the City Palace, Amber Fort, Jantar Mantar, etc. 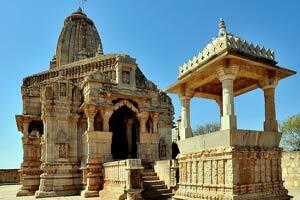 and many of them are inscribed in UNESCO's world heritage sites. 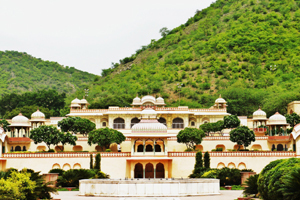 The many forts, palaces and other monuments are worth visiting during your trip to Jaipur. 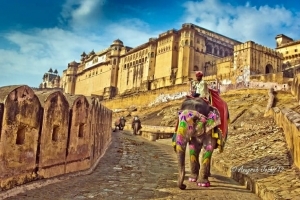 The people of Jaipur welcome travelers with their warm generosity. 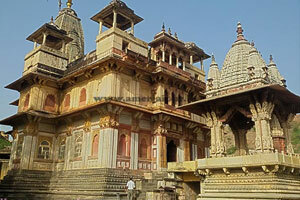 Come to Jaipur and feel the essence of Rajasthan (land of kings). 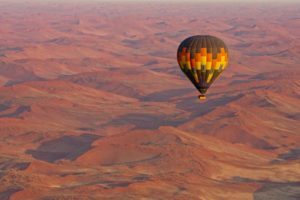 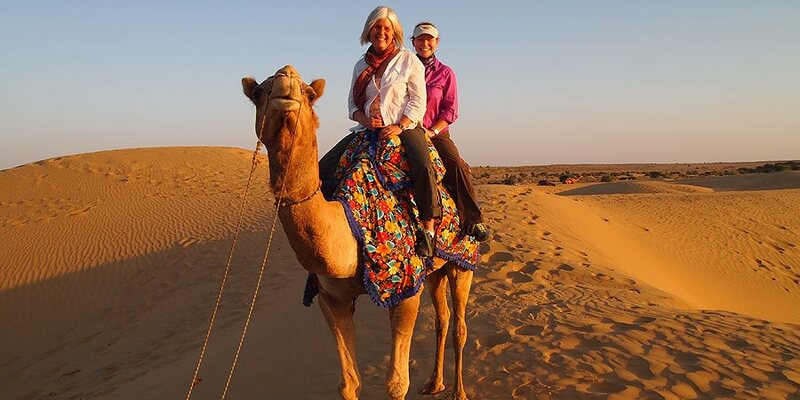 This city has something for every type of tourist, be it heritage seekers, business enthusiasts, adventurers, enthusiast of wild life or pilgrims. 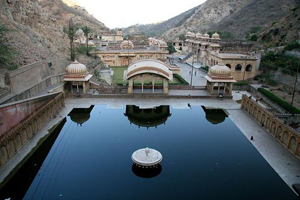 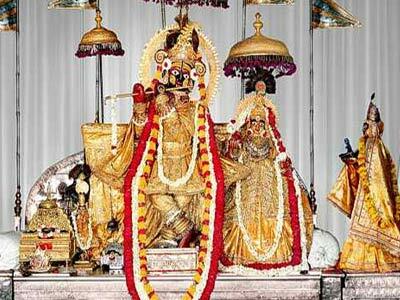 Jaipur tourism continues to organize new festivals to promote the city on a larger scale. 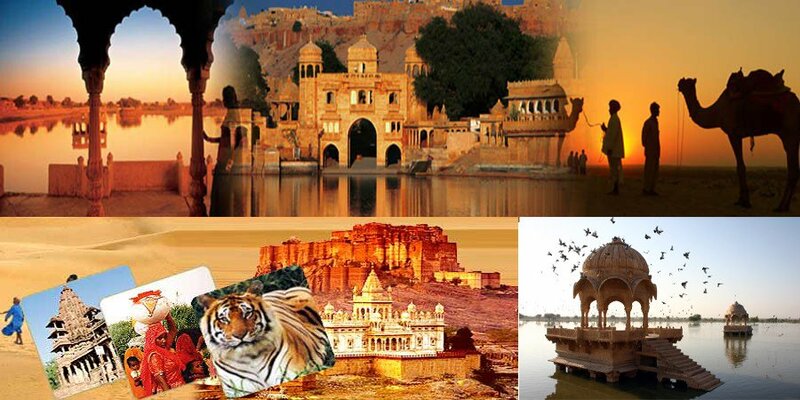 Considered as part of the Golden Triangle, it is advisable to travel to Jaipur for travelers especially for those who visit India for the first time. 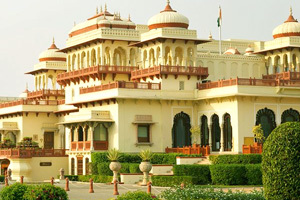 While in Jaipur you participate is various activities like watching a Bollywood movie, a rickshaw ride, dinner at Chokhi Dhani, a day with elephants near the Amber fort and shopping in the local bazaars of Jaipur.